Dr. Tolchinsky is part of the department’s senior staff with oversight of academic services for all of NSU’s 16 Division II sports. Dr. Tolchinsky works with coaches, student-athletes, athletic personnel and other University departments to ensure the academic success, educational and personal development of all student-athletes at Nova Southeastern University with particular interest and involvement with those who are "at risk." Dr. Tolchinsky oversees the athletic academic department, including coordinating the Academic Success Program (ASP) for identified student-athletes. She also coordinates all athletic educational workshops that contribute to the personal growth and career development of NSU student-athletes. She serves as the department’s primary liaison for academic matters to multiple university entities. Aside from those duties in the athletic academic department, Tolchinsky serves on the NSU Undergraduate Retention Committee. 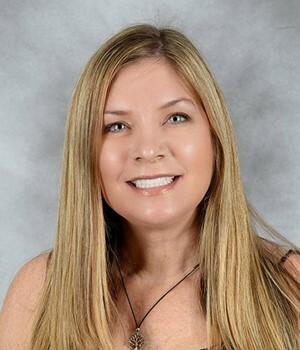 She was a member of the inaugural NSU Athletic Hall of Fame committee, and school pride/school spirit task force committee, assisting in the redevelopment of the University logo and school mascot, along with identifying ways to increase students’ connection to NSU. Tolchinsky has presented at academic conferences across the country. Currently, she is a member of the National Association of Academic Advisors for Athletics (N4A), the National Academic Advising Association (NACADA) the Student Athlete Development Committee (SADC),and the National College Learning Center Association (NCLCA). Her nomination was a finalist for the 2014 Wilma Rudolph Student-Athlete Achievement Award. Dr. Tolchinsky holds a Bachelor of Science Degree in Communications (Secondary Education) from Kutztown University (PA), a Master of Education degree in Reading Instruction from Georgia State University (GA) and a Doctor of Education Degree in Organizational Leadership from Nova Southeastern University (FL). She is an adjunct faculty member in Northeastern University's Graduate Sports Leadership program, NSU’s Graduate School of Teacher Education and Undergraduate First Year Seminar.